In this post on the new The Boss by Breville blender, I rhapsodized about some of the unique touch functions it offers, like Hot Soup and Autoclean. Of course, at $599 before tax, it’s meant to rival Vitamix and not your run-of-the-mill blenders. I was quite happy with my own blender, coincidentally the regular Breville, so the brand was pretty much preaching to the choir when they invited me to the media launch… and handed me a free The Boss to boot. While I’m mostly known as a food writer and magazine columnist, I also develop recipes for major brands. When I arrived home from the launch, I may have relegated my old Breville to the basement, but it retraces its steps up on a regular basis. The Boss is such a powerful appliance that if I were to test recipes with it, I’m afraid it would throw off the timing and texture one can secure with regular blenders. 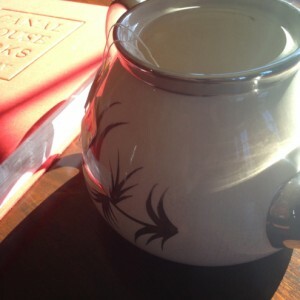 So I use The Boss in my day-to-day cooking, lucky me, yet still develop recipes with my good old standby. The Boss is the first blender ever to offer a Green Smoothie touch button (it has a regular Smoothie button too), to handle tougher greens like kale and spinach that produce chunkier smoothies. Launch participants were served a Tropical Green Smoothie to showcase the added smoothie function. It’s also featured in the 75-page hardcover (!) recipe book that accompanies every Boss blender. No doubt about it, everything about this newest Aussie appliance sets the bar. 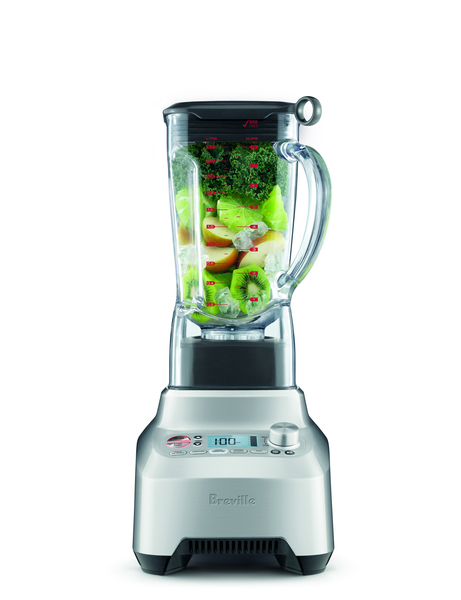 The Boss by Breville is the first blender to feature two Smoothie functions, one for regular, one for Green. Fresh, refreshing and nutritious, this green smoothie uses on-trend coconut water to provide the chill with raw almonds as a source of protein. 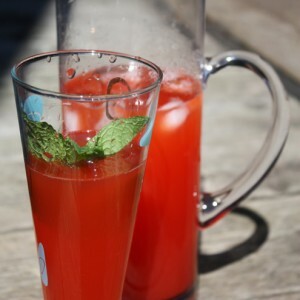 It would be a perfect choice to “detox” for spring. Of course, you can totally try this in a regular blender, just follow the optional steps below. Enjoy. I have a feeling some silken tofu could easily replace the raw almonds, especially if one were using a regular blender. P.S. I received this product for free by the manufacturer during the media launch. I have not been paid for this post and all opinions expressed are my own. 1. Place ingredients in blender jar. 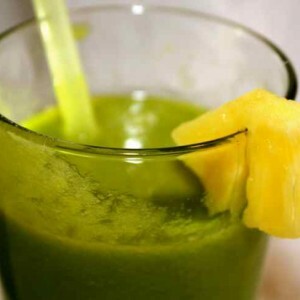 Pulse until smooth (if using The Boss, press Green Smoothie until programme runs out). 2. 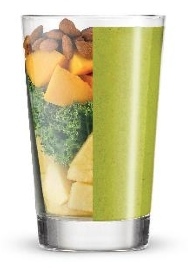 OPTIONAL: If using a regular blender, first combine kale and coconut water, blending until smooth. Add remaining ingredients and pulse until desired consistency. J’avoue ne pas être très “gadget” et ceux que je possède me suffise amplement, du moins pour le moment. 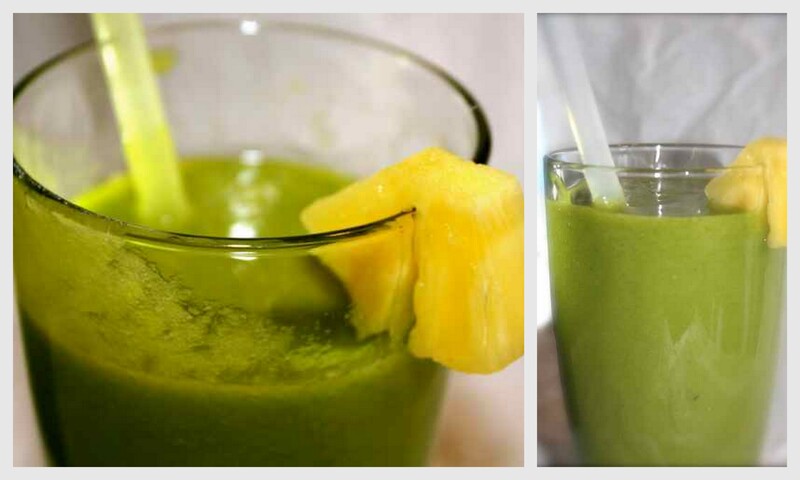 Toutefois, le smoothie vert me plairait bien. À essayer avec mon Cuisinart… ordinaire.